“This raises serious questions: What is the legitimate reason to admit privileged kids in nonrevenue sports at all?” one expert said. Eric Hyman said he was stunned to learn of the college admissions scandal. In more than 30 years of working as an athletic director of college sports, from Virginia Military Institute to Texas A&M, he’d never heard of someone outright buying a position on a team. But that is the reality of a college admissions bribery scandal that helped children of wealthy parents enter numerous elite educational institutions, like Yale University, Stanford University and the University of Southern California. 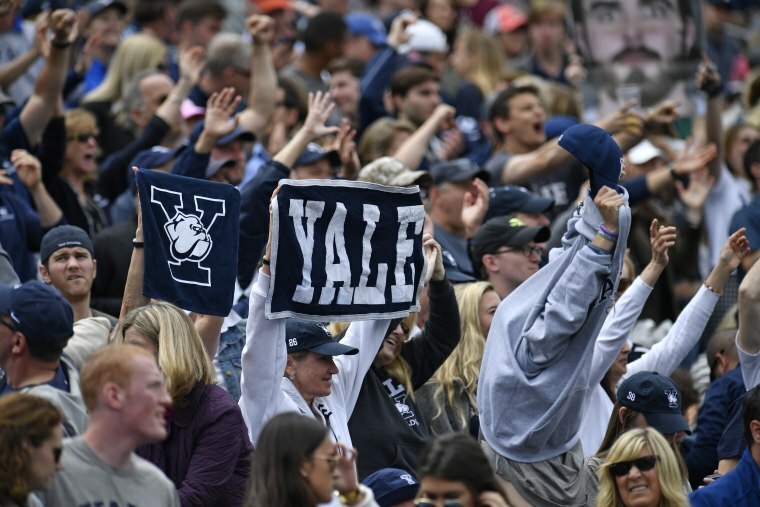 Students’ parents essentially purchased slots for them on teams that play nonrevenue college sports that appeal to families with higher incomes — like crew, soccer or lacrosse. In some cases, the student didn’t even play the sport that earned them entrance to the university. The scandal reared its head again on Sunday when it was announced that Gordon Ernst, the former Georgetown tennis coach accused of taking $2.7 million in the scheme, resigned his post at the University of Rhode Island, where he worked at the time of his arrest. The cooperation agreement between former Yale soccer coach Rudolph “Rudy” Meredith and the Justice Department was also unsealed Sunday. Meredith is charged with designating a student as a soccer recruit, even though the applicant didn’t play competitive soccer, and in turn accepting a check for $400,000. It is the coaches, Hyman said, who tend to make those calls on the sports side, typically providing lists to the academic institution of players who they want to join their team. But that ability appears to have highlighted a vulnerability within academic institutions — one some wealthy parents were able to exploit by paying bribes to coaches and members of university athletic departments. The entire plan was orchestrated by William Rick Singer, who runs the college counseling business Edge College & Career Network. In one of the more prominent cases, he helped actress Lori Loughlin’s two daughters be “designated as recruits to the USC crew team — even though they did not participate in crew — thereby facilitating their admission to USC,” according to the Department of Justice. The ability for that fraud to flow through sports programs has left some asking: Where does the buck stop and ultimately how much oversight should the administration and the leadership of athletic departments exercise over individual teams? And many more athletic departments could be susceptible to this kind of fraud, Shropshire said, as long as coaches have the power to provide a list of students that they want admitted to the institution without anyone second guessing their choices. But some noted that major academic institutions cannot micromanage their massive athletic departments. “I don’t know how you operate a major institution if you can’t delegate responsibilities to people and trust that they won’t abdicate them for massive amounts of cash,” said Stephen Ross, the director of the Penn State Institute for Sports Law, Policy and Research. But Ross said that colleges and universities face a larger cultural problem, as it has become acceptable to admit athletically unexceptional students for sports that produce little revenue for the university. Only the individuals who were immediately involved have been charged or fired from the numerous academic institutions that were defrauded in the scheme, but it remains to be seen whether there will be additional fallout. Shropshire said the rapid number of dismissals that occurred in light of the indictment made it appear as though some schools had information available to them before the criminal charges were announced. That could indicate that the universities caught onto the scheme or a greater number of people were involved, he said. But for Hyman, a former Division I athletic director who has seen the highest echelons of college sports, there is a larger concern — the vast sums of money involved and the lack of oversight.